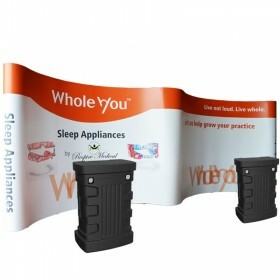 Wave Tube tension fabric displays are easily transported and known for their easy assembly. 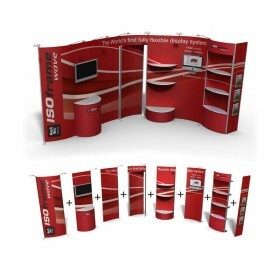 It's snap-together tubular frame allows for quick set-up at any trade show, event or conference. 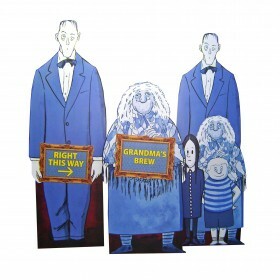 The included fabric graphic is machine washable and able to be steamed to enhance the wrinkle-free properties of the fabric material making it much more durable than traditional displays. 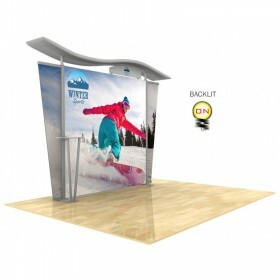 Affordable replacement graphics also available when you want to update the look of your trade show booth. 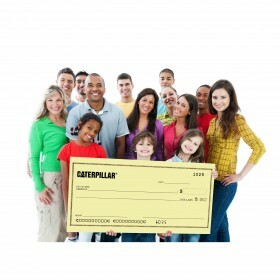 Utilize our in-house graphic design services or submit your own artwork file today. 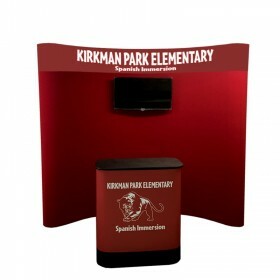 Shop below to find the right trade show display for your needs! 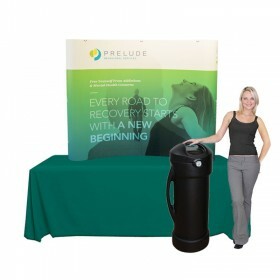 Curved tension fabric tubular full height display includes complete frame set, one-piece single sided fabric graphic skin and nylon carry bag. 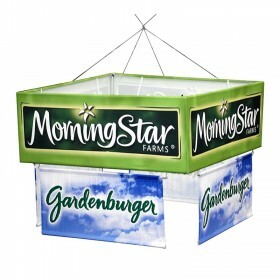 Set-up size: 8'w X 89.5"'h X 20"d. *Lights not included. 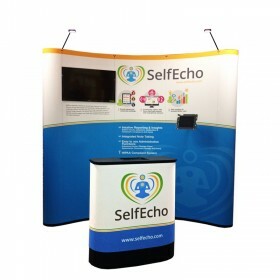 Curved tension fabric tubular full height display includes complete frame set, one-piece double sided fabric graphic skin and nylon carry bag. 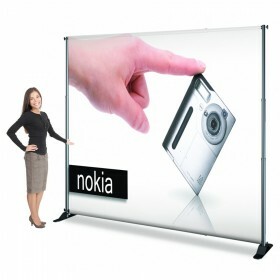 Set-up size: 8'w X 89.5"'h X 20"d. *Lights not included. 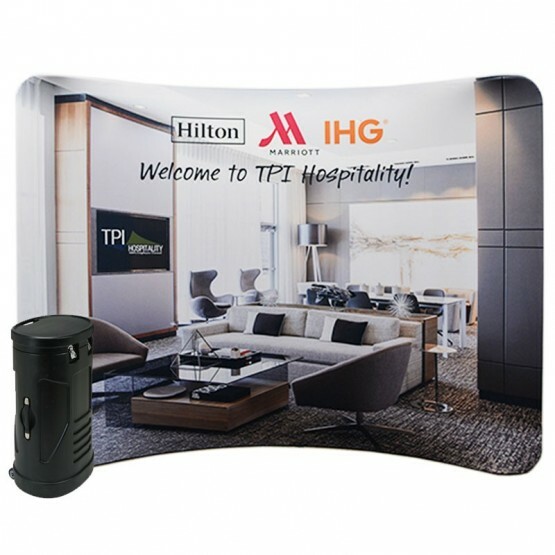 Curved tension fabric tubular full height display includes complete frame set, one-piece single sided fabric graphic skin and nylon carry bag. Set-up size: 117"w x 89.5"h x 17"d. *Lights not included. 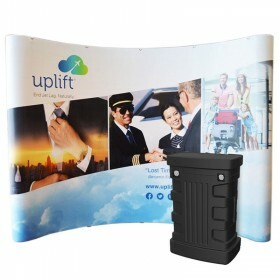 Curved tension fabric tubular full height display includes complete frame set, one-piece double sided fabric graphic skin and nylon carry bag. Set-up size: 117"w x 89.5"h x 17"d. *Lights not included. 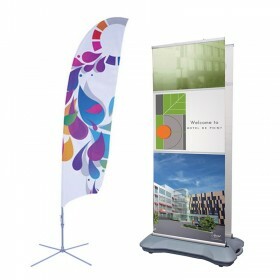 Serpentine tension fabric tubular full height display includes complete frame set, one-piece single sided fabric graphic skin and nylon carry bag. 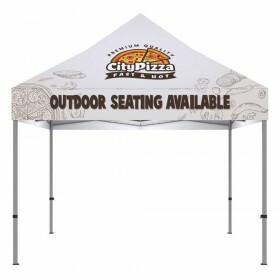 Set-up size: 116" x 81.5". *Lights not included. 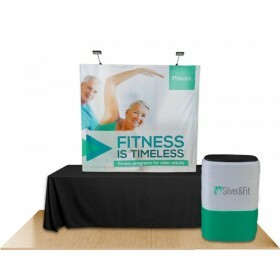 Serpentine tension fabric tubular full height display includes complete frame set, one-piece double sided fabric graphic skin and nylon carry bag. 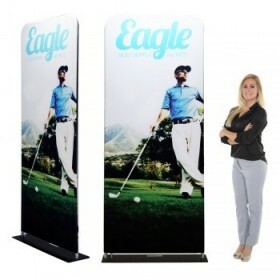 Set-up size: 116" x 81.5". *Lights not included. 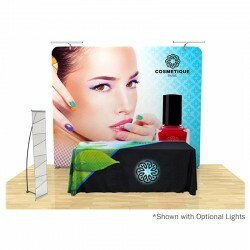 Straight tension fabric tubular full height display includes complete frame set, one-piece single sided fabric graphic skin and nylon carry bag. 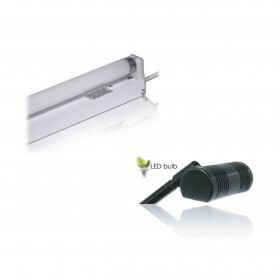 Set-up size: 116"w x 90"h x 20"d. *Lights not included. 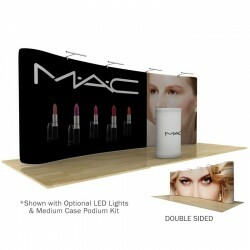 Straight tension fabric tubular full height display includes complete frame set, one-piece double sided fabric graphic skin and nylon carry bag. 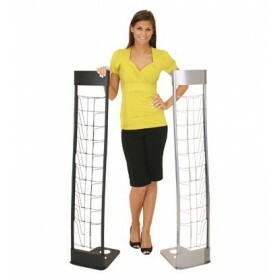 Set-up size: 116"w x 90"h x 20"d. *Lights not included. 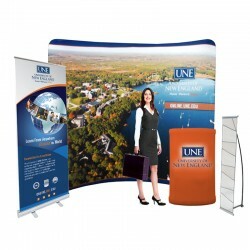 Curved tension fabric tubular full height display includes complete frame set, one-piece single sided fabric graphic skin and nylon carry bag. 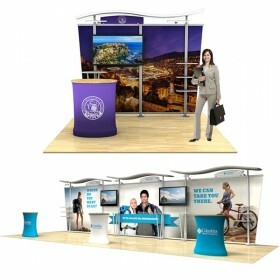 Set-up size: 235"w X 90"'h X 25"d. *Lights & Podium not included. 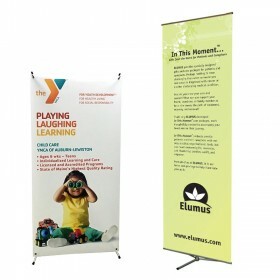 Curved tension fabric tubular full height display includes complete frame set, one-piece double sided fabric graphic skin and nylon carry bag. 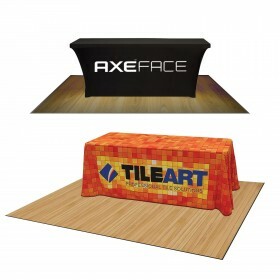 Set-up size: 235"w X 90"'h X 25"d. *Lights & Podium not included. 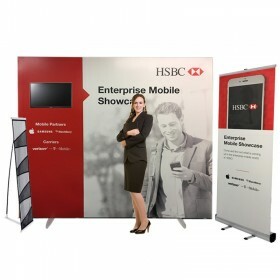 Serpentine tension fabric tubular full height display includes complete frame set, one-piece single sided fabric graphic skin and nylon carry bag. 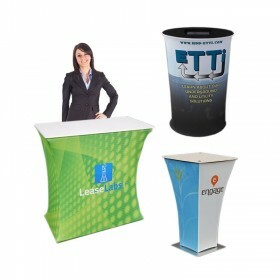 Set-up size: 235"w X 90"'h X 25"d. *Lights & Podium not included. 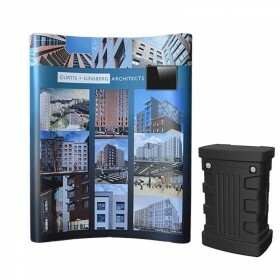 Serpentine tension fabric tubular full height display includes complete frame set, one-piece double sided fabric graphic skin and nylon carry bag. 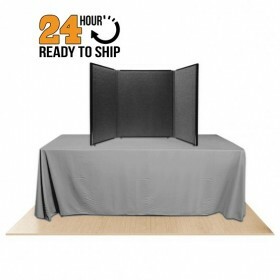 Set-up size: 235"w X 90"'h X 25"d. *Lights & Podium not included. 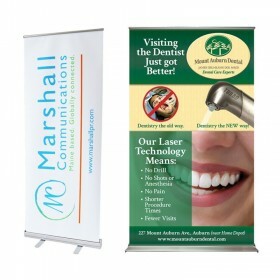 Straight tension fabric tubular full height display includes complete frame set, one-piece single sided fabric graphic skin and nylon carry bag. 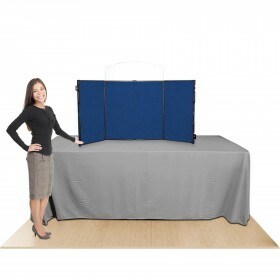 Set-up size: 235"w X 90"'h X 20"d. *Lights & Podium not included. 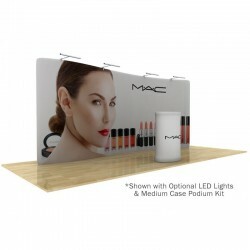 Straight tension fabric tubular full height display includes complete frame set, one-piece double sided fabric graphic skin and nylon carry bag. 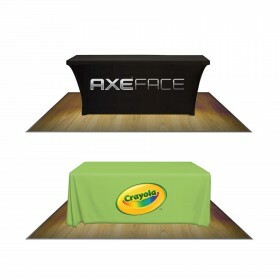 Set-up size: 235"w X 90"'h X 20"d. *Lights & Podium not included. 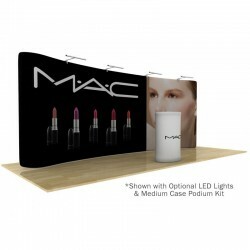 Straight tension fabric tubular full height display includes complete frame set, one-piece single sided fabric graphic skin and nylon carry bag. 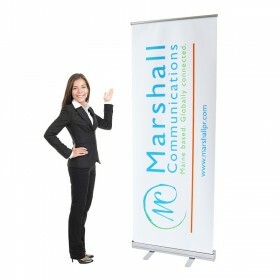 Set-up size: 8'w X 89.5"h X 12"d.
Straight tension fabric tubular full height display includes complete frame set, one-piece double sided fabric graphic skin and nylon carry bag. 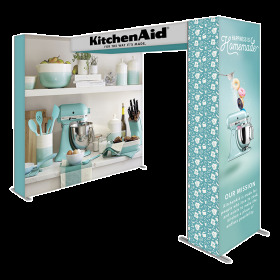 Set-up size: 8'w X 89.5"'h X 12"d". *Lights not included. 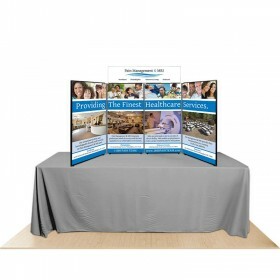 Bundle #6 Package includes 8ft WaveTube stand hardware, Dye sublimation pillow-case graphic, 6ft WHITE fabric/full color logo imprinted table cover, 4pocket literature rack and Soft travel bag. *Table not included. UPS/FEDEX shippable. 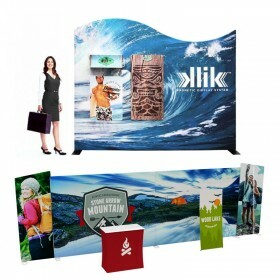 Bundle #7 Package includes 8ft WaveTube Aluminum frame set, One-piece single sided fabric graphic print, 31.5" Econoroll banner stand w/ banner, brochure rack & Medium Oval Case w/ Graphic Wrap. UPS/FEDEX shippable. 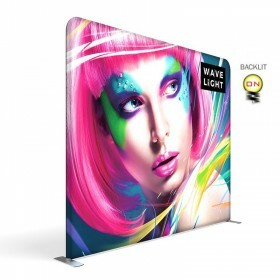 Our full size tension fabric displays feature seamless, vibrantly printed dye sublimation graphics that are quick and simple to set up with a bonus of being compact and travel-friendly. 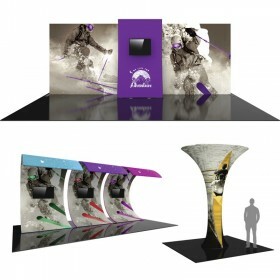 A current trade show trend is tension fabric display technology that allows you to mix and match elements to create your ideal booth display. 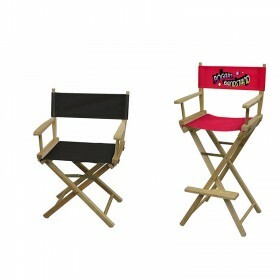 Our mission is to help you achieve functionality, elevated style, lightweight portability and simplified show set-up. 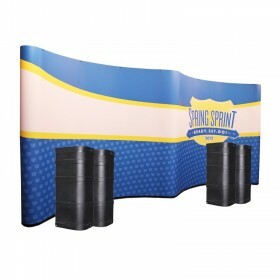 Our tubular tension fabric displays are made from lightweight aluminum tubing and covered with custom printed tension fabric. 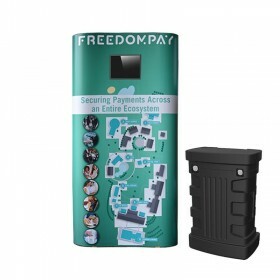 The durable aluminum frame structure combined with the tension fabric graphic are extremely popular because flexibility, portability, sustainability, and of course, lightweight, a valuable trait when considering travel, storage and shipping costs. 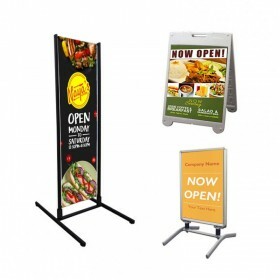 There are 3 main advantages of the high-resolution dye sublimation graphics included with fabric tension displays are portability. 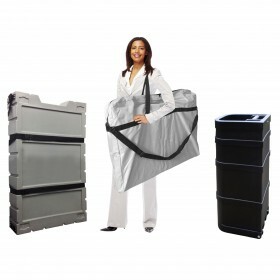 Transporting this fabric booth is easier, lighter in weight and can result in huge cost savings on shipping costs. The fabric graphic is machine washable and able to be steamed to enhance the wrinkle-free properties of the fabric material making it much more durable than traditional displays. 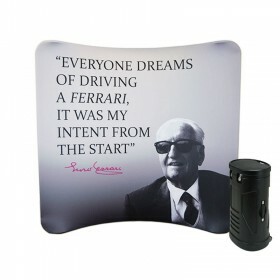 The included fabric graphic offers a non-glare view which is more suitable for high intensity lighting. 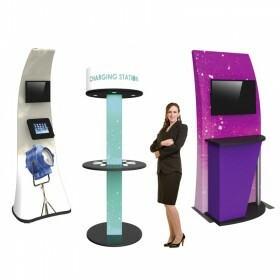 The wave of the future trade show display purchasing is the many different models available. 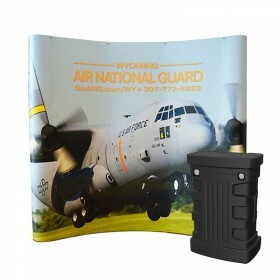 The first tension fabric display was the pop-up display style utilizing the standard pop-up framing with velcro webbing that secures a seamless one-piece graphic. 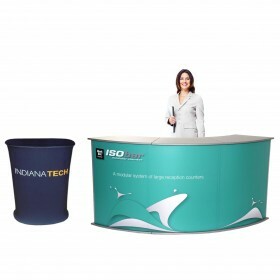 You can choose table top size models such as 5ft wide to include the side end caps or to have no side end caps or 8ft wide which also offers side wrapping end caps or and 8ft model without side end caps. 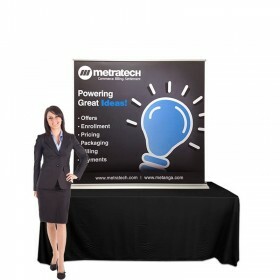 The VBurst 5ft table top model offers a high end look with enhanced illuminating backlit lighting to really expose your brand to the world. 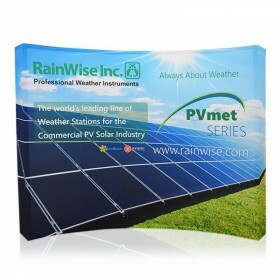 The WaveTube 6ft or 8ft table top tension fabric display option consists of a tubular aluminum framing with a dye sublimation one-piece fabric graphic that pillowcases over the framing creating a taut structure. 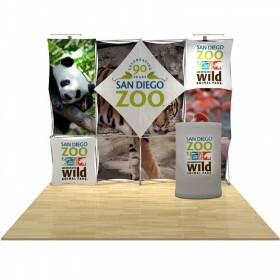 We specialize in tension fabric displays so they are lightweight and easy to set up. 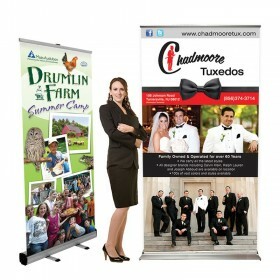 Let us help make your next trade event a great success! 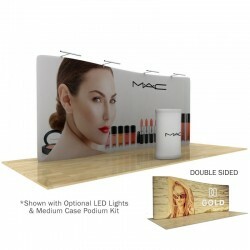 At AffordableDisplays.com we offer many already put together trade show display packages for you to choose from. Call 800-723.2050, chat or contact us and get started on your project today! Awesome things are about to happen. We can feel it in the air. Do you? Sign up below and you too can experience the amazing display savings & advice floating around in the air!